Christmas is a special time to be in Gozo. Locals love to celebrate Christmas and the Christmas spirit is felt all around the island. On the 1st of December, Republic Street in capital Victoria will be lit up and decorated for the occasion. On the day, celebrations will also take place in Independence Square including a children’s choir singing Christmas carols. 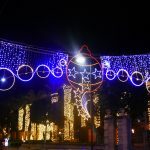 During the festive season, churches all over the island will be decorated in Christmas décor and several choirs plus Christmas concerts will take place all around the island. Below are some of the major events and attractions taking place on Gozo during the festive season. 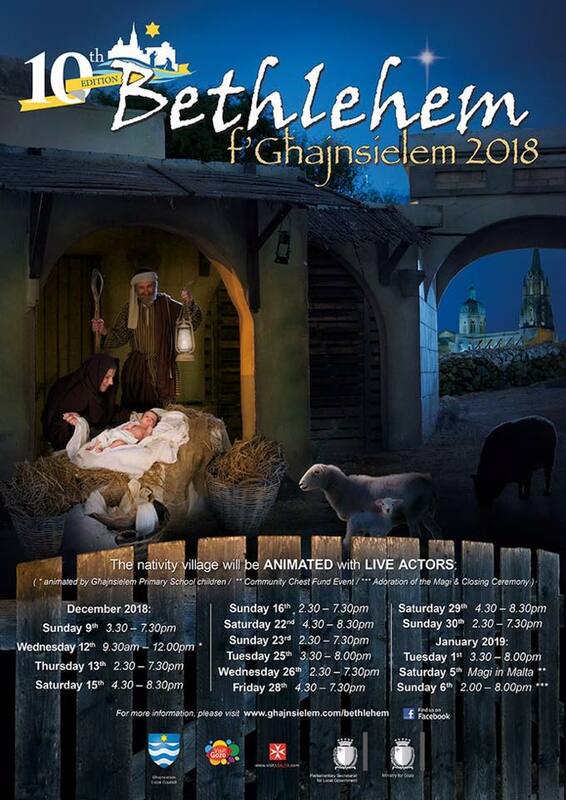 The 10th edition of Bethlehem f’Ghajnsielem will once again be the main attraction in Gozo during the festive season. In the past years, it attracted thousands of visitors. This open-air nativity village features a living crib and gives the opportunity to experience how life was in Bethlehem 2000 years ago. The village tells the story of various characters who dressed in traditional costumes and highlights old traditional trades such as the fishermen, carpenter and the blacksmith. One is also given the opportunity to try one of the several ‘hands-on’ tools. There is also a local tavern which sells local food and an open-air market selling local vegetables and fruits. Roman soldiers also attend the area. The highlight of the village is, of course, the Grotto with the Madonna, St. Joseph and baby Jesus surrounded by a donkey and a cow. Every year on the epiphany, as per tradition, three wise men will depart on horseback from a particular village on Malta, cross over the ferry and make their way to the Grotto in the village to present their gifts to baby Jesus. 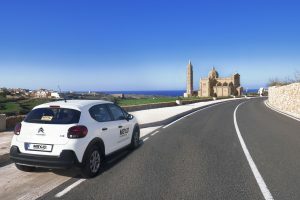 Location: Dun Gorg Preca Street to the church, Xagħra. Mayjo car rentals and airport transfers is also offering a 20% discount for bookings done online on car hire by applying discount code XMASMCH. Discount is applicable for car hire dates which fall between the 12th December and the 6th January 2019. 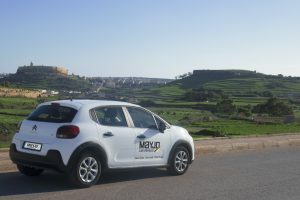 © Copyright 2019 Mayjo Car Rentals. All rights reserved.